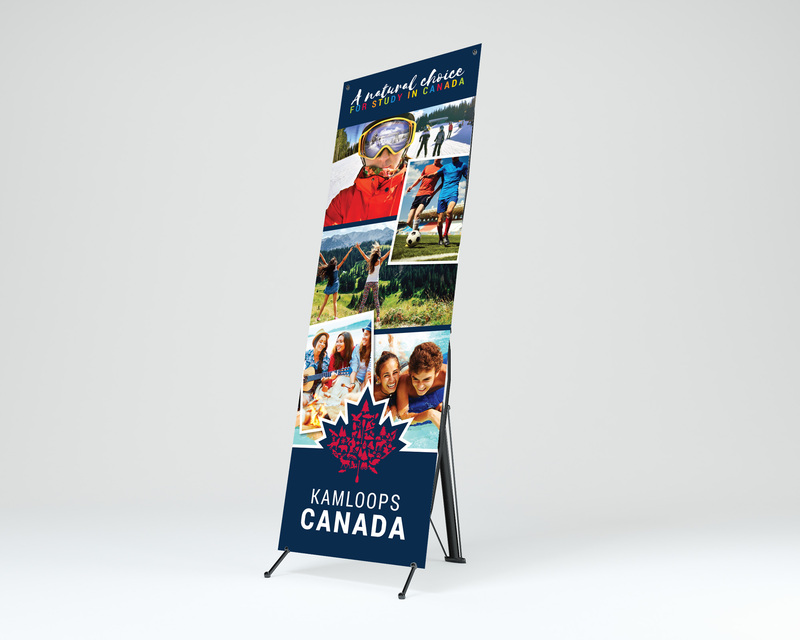 The School District 73 International Student Program promotes Kamloops as an education destination and recruits high school students from foreign countries to study abroad and homestay in Canada. 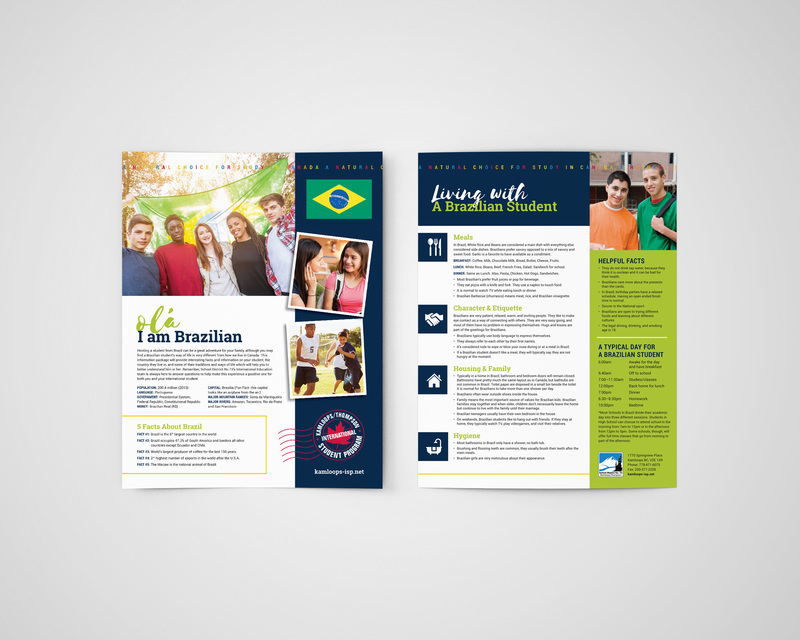 Working with their exisiting logos and brand assets the team at Fresh put together a Visual Strategy to bring some vibrancy and fun to their marketing materials — focusing on their tradeshow items. 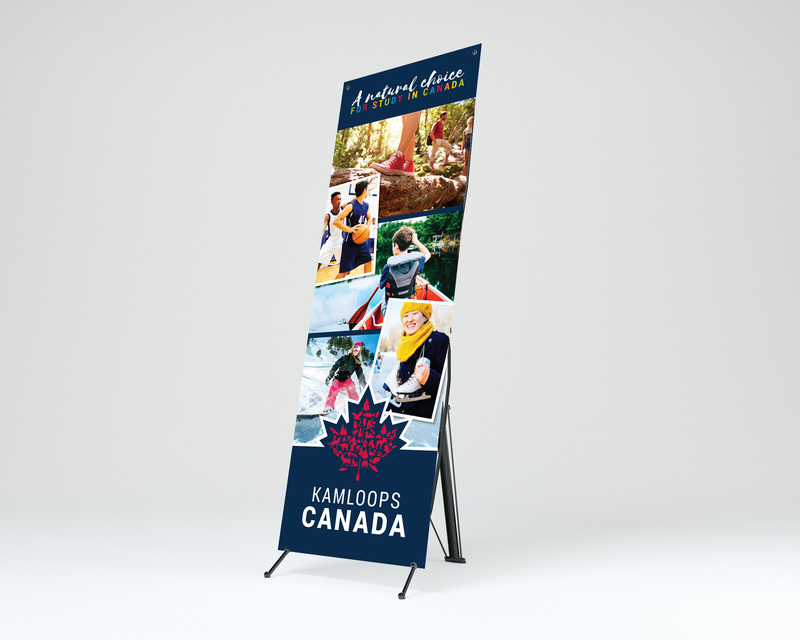 The team wanted the visuals to showcase the experience of studying in Canada and make Kamloops a destination that stood out from the competition. 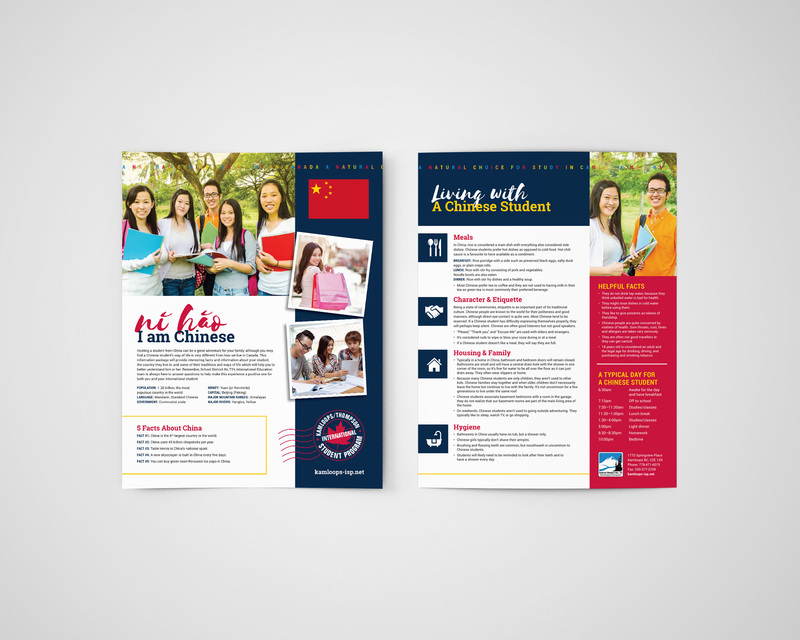 Part of the strategy was to introduce a new look to the program separate from the School Districts brand identity. This included expanding the colours to a more playful palette, selecting modern and bold typography, introducing icons to the materials, and showcasing vivid photography. 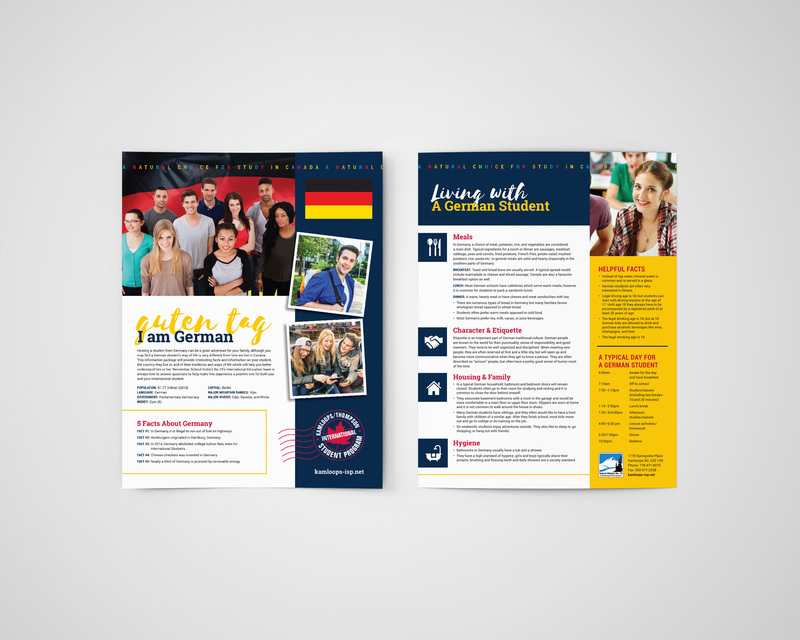 Work included: refresh of the program's brand identity, tradeshow banners, forms, flatsheets, button giveaways, and t-shirts.